ISRO's PSLV C45 lifted off from the Satish Dhawan Space Centre here on Monday, carrying India's EMISAT satellite along with 28 nano satellites of global customers. 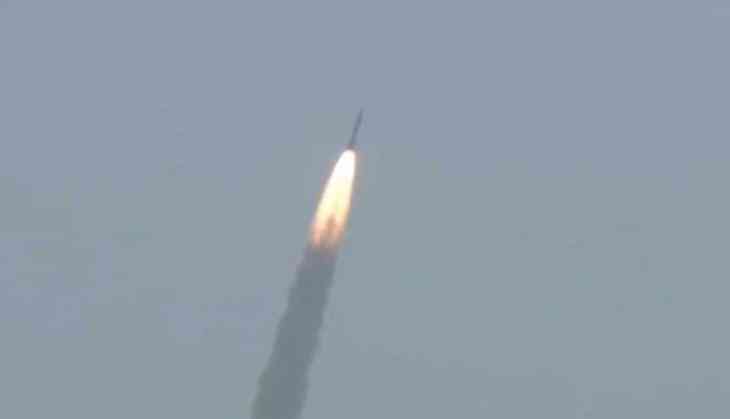 As the 27-hour countdown concluded, the nearly 50-metre tall rocket, a new variant of ISRO's trusted work horse PSLV-QL, blasted off from the second launch pad at the spaceport of Sriharikota, about 125 km from here, at 9.27 am. The EMISAT satellite is aimed at electromagnetic measurement. The mission marks several firsts to the credit of the space agency as it would manoeuvre satellites in various orbits and orbital experiments, including on maritime satellite applications. The rocket has encountered only two failures so far, its maiden developmental flight ended unsuccessful way back in 1993. In September, 2017, the flight went off without any hitch but the IRNSS-1H Satellite could not be released into orbit after the PSLV-C39's heat shield failed to open on reaching the orbit. In this mission, ISRO scientists would place the satellites and payloads in three different orbits, a first for the agency. After injecting the 436 kg primary satellite EMISAT, intended for electromagnetic spectrum measurement, at around 17 minutes from lift off in a 749 km orbit, they would restart the fourth stage again. ISRO said this was the first time it has been envisaged to provide a micro-gravity environment for research organisations and academic institutes to perform experiments. The PS4-fourth stage hosts three payloads in this mission.